Moving to Bangkok - Compare International Movers & Save up to 70% ! You can spend a lot of time chasing up information and following up for quotes. But with Intlmovers your details are matched and forwarded immediately to up to six international moving companies. They are specialists in Moving to Bangkok, Thailand, so they can help you no matter where in the world you are moving from. Save yourself some stress by investing in the professional services of international moving companies. It can be a worthwhile exercise to compare quotes but it is important to keep in mind that pricing is not the only thing that you should be comparing. Make sure that you review exactly what services are included for the price. You can be confident of making a fair comparison of the offers that you receive from the different companies. Choosing the best value is often the best way of choosing the best quote! The international moving companies have years of experience with moves to Bangkok. In South East Asia, Bangkok is known as the other city that never sleeps. With the Chao Phraya River running right through the middle of the city. This once small trading village is now Thailand’s largest city and home to 15 million occupants. Nearly every traveler in South East Asia ends up at the crossroads of Bangkok because of its ideal location in South East Asia. It makes perfect sense as you can access most of Asia within a couple of hours via an inexpensive flight from Bangkok’s international airport. Living in Bangkok means that you need to be able to handle warm weather. If you plan on moving to paradise, the average temperatures are between 21°C (70°F) in Jan, Feb to an average 30°C(105° F) in the remainder of the year with a mix of humidity. Living in Bangkok is recommended for people who enjoy the crowded metropolitan city life. The entertainment and night life is abundant, to say the least. There are endless bars, clubs and restaurants to enjoy for every taste at an affordable price. You can find just about any kind of food you want from Starbucks coffee or a cheeseburger. It’s all available in Bangkok. One thing to keep in mind is that traveling and getting around the city does take patience. Bangkok has the most congested streets anywhere in the world. Sometimes not even the world famous Thai ‘tuk tuk’ can get down the street and it can drive a person insane during rush hour. However busy traffic is not only just during rush hour, it goes on nearly all night. So consider that when you are choosing the best location to live. If you live in an area that has access to a sky train or tram it will considerably reduce your strain on commuting or getting around. I have heard from expats that lived in an area that was not near any public transportation. They found a rental at a very low price and later regretted that they made the choice to live there. If you plan well, Bangkok is a pearl in the oyster! Within the busy streets of Bangkok are international cultural areas that will sell items from international countries and offer a variety of foods and host attractive festivals. One of the oldest historical areas in the city is Tang To Kang in Chinatown. There you can visit the shops, museum and the Trai Mit temple. Which is famous for its 700 year old golden Buddha. It weighs about five and a half tons and stands three meters high. As a local resident in Bangkok, you can take advantage of the Bang Khu Wiang or Taling Chang floating markets. There you can buy a great deal of what you need from a supermarket and all sorts of interesting things that are dirt cheap. Most markets can be accessed by boat rental for around 5 Baht. Thailand is considered a fully developed country but the cost of living in Thailand is pretty cheap. The cost of living in Bangkok however is much higher than anywhere else in Thailand, depending on what kind of life style you prefer. Thailand uses the Baht as its main currency. To get an idea on the currency exchange, one US dollar is equal to around 31 Baht or €1 is equal to around 39 Baht. The currency exchange does change daily and you need to update the exchange rate regularly. It gives you an idea of what prices may be like. Many expats in Thailand boast that it is not hard to live on $500 USD a month and live quite well. Again, it all depends on what kind of accommodation you need and what part of the city you want to live in. On the low end, you can get a condo around 5000 Baht. If you are looking for a furnished condo with a pool, gym, guards and patio then you can expect to pay around 9500 Baht ($950 USD). A spacious condo or house can cost around 80,000 Baht ($2,500 USD) or more in Bangkok. To get a temporary visa you need to apply at your local Thai Embassy nearest you before your departure to Thailand. You need to apply for almost every kind of visa before you leave your home country. If you are moving long term, there is unfortunately very little chance of getting a permanent residence visa. Only 100 permanent visas are given out to each nationality per year. The visa process requires you to renew your visa regularly. Once you receive your first visa and then Thailand, it is then possible to re-apply for your visa extension within Thailand. Generally you will need to do this annually, and as long as you meet the necessary requirements, then it is not a problem at all. Do not make the mistake of allowing your visa to expire because the Thai government does perform random spot checks on visa applicants and the penalty for an expired visa can mean jail time and or exportation without return. This does sometimes happen so don’t take any chances. All visitors to Thailand must apply for a Tourist visa. This visa is for Tourist purposes, not allowed to work or conduct Business. You can stay for up to 60 days and can ask for another 30 day extension. To apply for a tourist visa it is advised to do this at the Thai Embassy or website near your residence before you leave to Thailand. You can also apply for a 30 day visa extension at arrival in the airport. The Thai government has a welcoming retirement visa for those over 50 years of age that can show proof of retirement income and make an 800,000 Baht deposit in a Bank ($25,000 USD). The other option is marriage to a Thai national and proof of retirement income. You can also apply for a marriage visa by marriage to a Thai national. You can do business in Thailand only if you are employed or sponsored by a Thai / international company. Visas must be renewed annually. You can apply for a study Visa you must have proof of acceptance to an educational program. All visas must be renewed annually. Making an international move can be a stressful and worrying time. Your goods are being transported across the world and you want to feel comfortable that they are being well managed and cared for before, during and after transit. 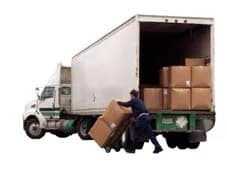 This is when experience counts, and the international movers that promote their services online with Intlmovers have many years of trusted service in international relocation. You can receive up to six quotes for your international move to Bangkok. But you’re under no obligation to accept any quotes that you receive when you request quotes with Intlmovers. Not only is this online quotation service quick and easy to use. It’s also offered to you completely cost free as well as obligation free!